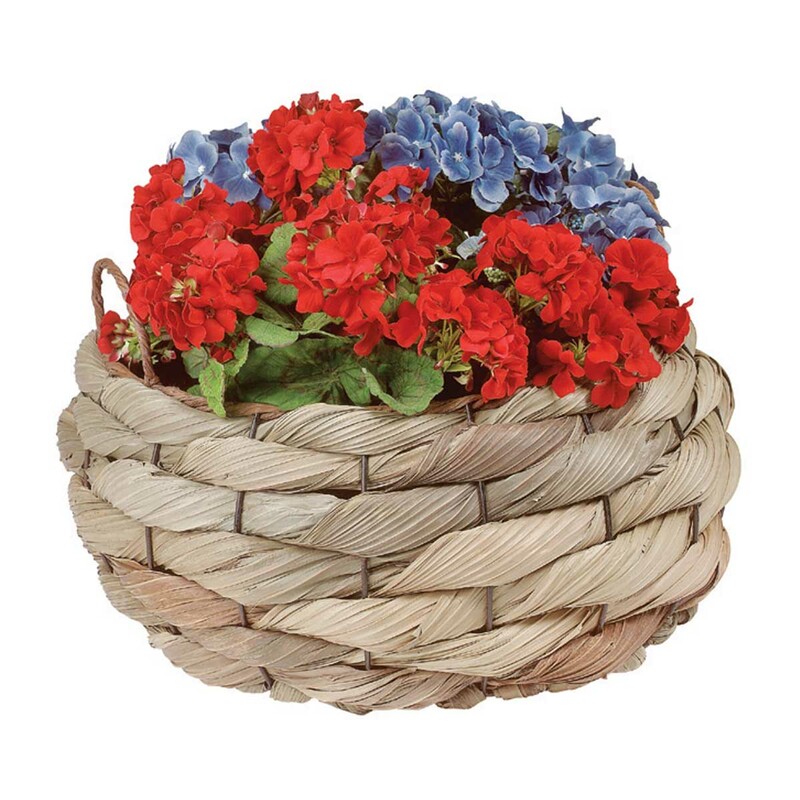 Baskets neaten the place right up. Shop for your Baskets here today. Planter. 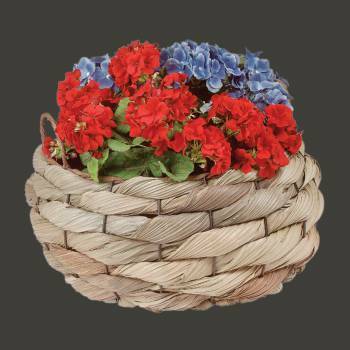 Palm leaf planter made of natural fibers held by a sturdy metal frame that is woven into the fibers. Use indoor or outdoor. Measures with handles 11 1/2 H x 20 dia. inch. Inside measures 15 dia. x 7 1/2 deep inch.